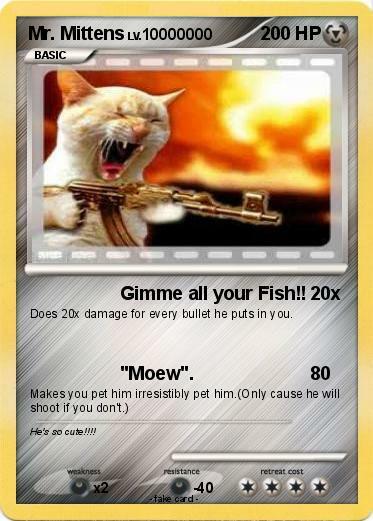 Attack 1 : Gimme all your Fish!! Does 20x damage for every bullet he puts in you. Comments : He's so cute!!! !